Add this solar frog statue to your outdoor landscape or favorite garden setting. Frog-lovers won’t resist adding this cute solar frog statue to their walkway, patio or garden decor. 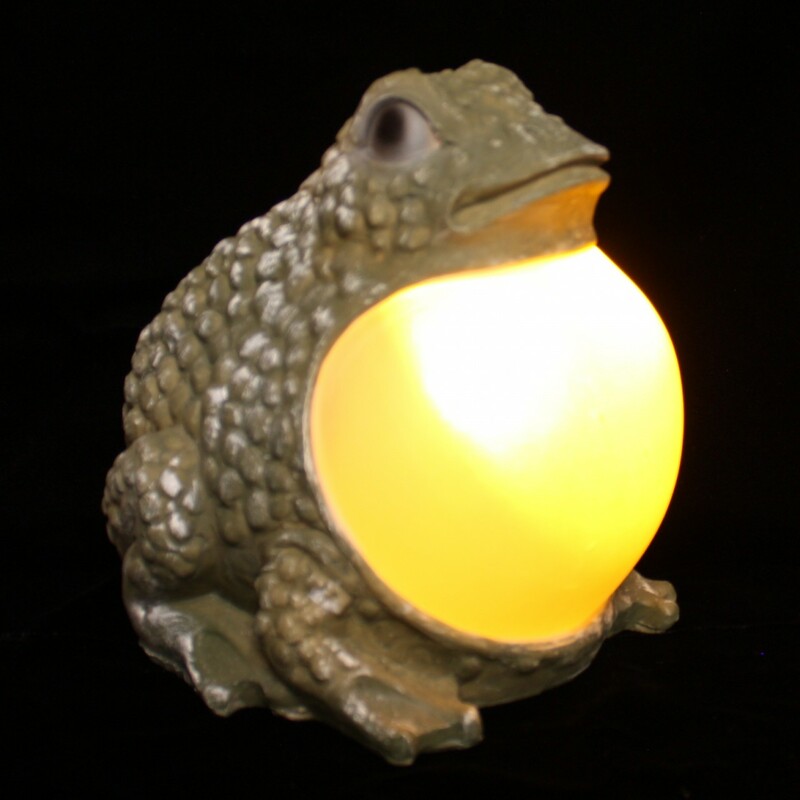 During the day this cute frog will look great in your flowerbed and at night its belly will light up with an amber glow. A complete charge will provide up to 8 hours of illumination as a sensor automatically turns on the light at dusk and off at dawn.